Ground cover plants are used to cover soil and generally range in height from 1 inch to 4 feet. The advantages of ground cover plants include providing dense soil cover, preventing soil erosion and killing weeds. Ground cover plants kill weeds by stealing valuable nutrients and water from the weeds. Ground cover plants also block sunlight from reaching the weeds. Select a ground cover plant. In order to kill weeds, ground cover plants must flourish, so select a plant that is suited for your particular area. Some things to consider include how much sunlight the plant needs and what kind of soil is necessary for the plant. Common ground cover plants include bacopa, ivy, juniper, mint and spider plant. Till the soil. Tilling the soil involves using a rototiller, an engine-powered tool with rotating blades, to dig up roots, rocks, and other sharp objects. Tilling the soil prior to planting ground cover plants ensures optimal growth conditions. Fertilize the soil. Fertilizer will help ground cover plants flourish. A plant that is not flourishing can be overtaken by weeds. 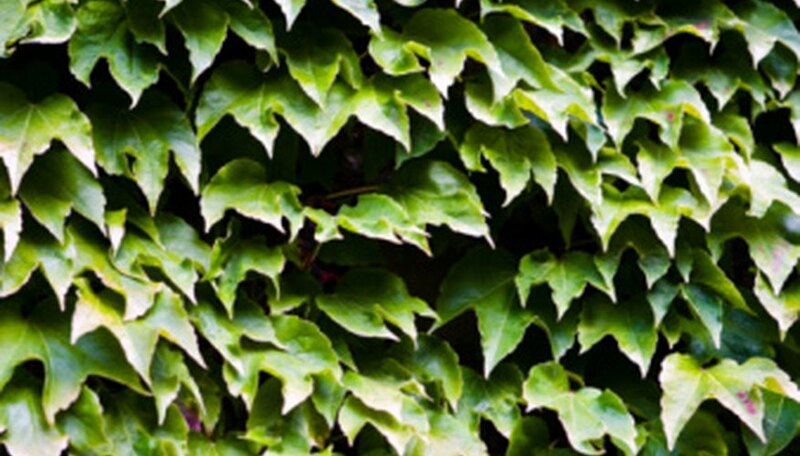 Viney ground cover, such as ivy, can be fertilized with a commercial fertilizer. Ground cover with an upright growth habit, such as pachysandra, can be fertilized with well-rotted manure. Fertilize during the peak growth time for your particular ground cover; fertilizing during dormant times may actually stimulate weed growth. Plant the ground cover. Planting will differ depending on the ground cover (see the instructions on the package). Note that viney ground cover plants should be planted in beds. Maintain ground cover. In order to maintain ground cover, water the ground cover in the morning (watering at night can cause fungus). Use a sprinkler as you would with a lawn. Some weeds will still sprout through the ground cover. Pull these weeds by hand, as herbicides will kill the ground cover along with the weeds.